One week after the last race at the high speed track of Hyvinkää it was time for the last two rounds of this summer's FinTrack series. 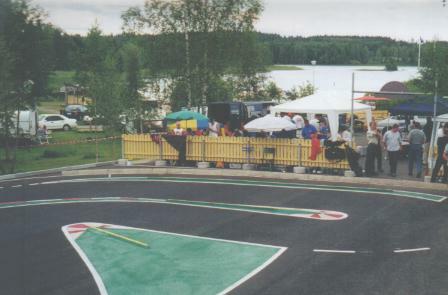 These two races was held at Laukaa. 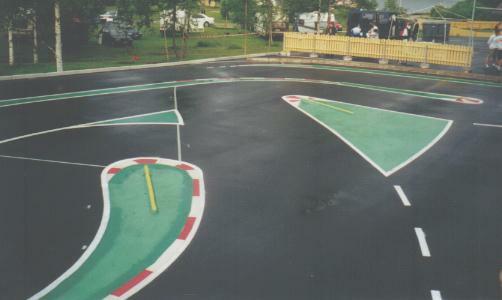 The track was built this summer so it would be the first race(s) ever on this track. The scenery at the track was astonishing...really amazing. 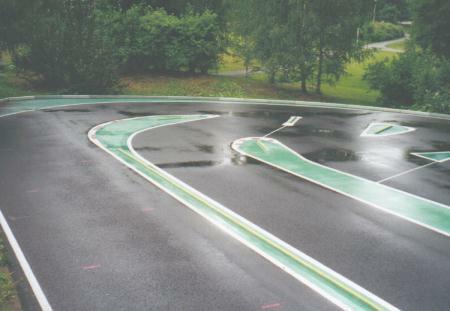 I have never seen a nicer place for an rc track. 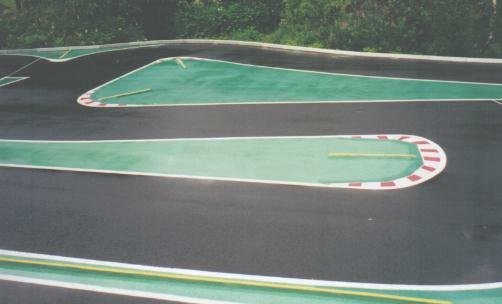 The track itself was quite simple. It was ok to drive but I would not say it's the best layout I have run on. Anyway after a couple of bad races I thought it was time to stop the disappointing results so we decided to go to the track on friday to get some testing done. Arrived at the track at around 1pm on friday. Started off with the 'standard' Special setup and the car worked ok. It was just understeering a bit too much. 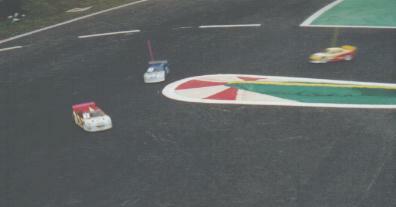 We were four Yokomo's that were testing at the track and I have to say that we got all cars working quite well then. On the Special we were running green rear springs which really made the car easy to drive. Well the weather was a lot better on sunday so this time we could do a normal race. Still had a hard time with my car though...it was so strange to drive. There was no concistency in the handling at all. Like usual I qualified somewhere in the b. We had two Yokomo's in the a, that's nice! 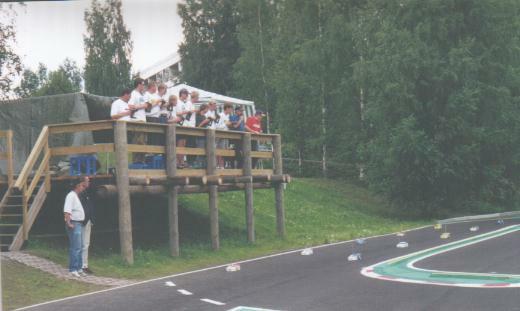 Teemu Saarinen was tq with his Corally ahead of Juho Levänen's GM. Simo Ahoniemi qualified down in fifth although he looked to be the fastest car on the track. My b finals were good and bad...the first one was really nice as the car was for once working like it should. I had changed to one step softer rear springs (silver) as the car was overheating the rear tyres in the last qual. 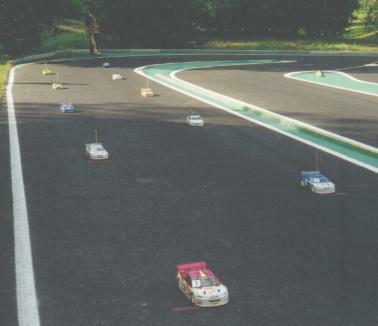 As I said the b final was really fun as I did a lot of great close racing with many other drivers. Even though I changed nothing for the second b and the conditions stayed pretty much the same the car was once again really difficult so that was not such a nice race. I sort of knew what the cause of these problems was already, but it was not possible to fix it while at the track. Simo won the race even though he started down in fifth. Second was Juho and third was Jarno Siltanen on his home track. The best Yokomo finished fifth which was also where he finisehed in the FinTrack final results. So the only national race left in Finland this summer is the Finnish Championships which will be held 18-19.8 at my hometrack here in Vaasa. Now a 4 week break for everybody to prepare for that race. Ciao.